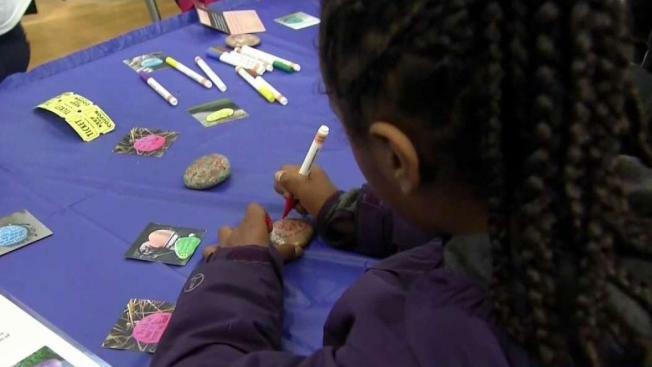 The third annual Create the Change Day was held Sunday at the Reggie Lewis Center in Boston's Roxbury neighborhood. The day offers young kids a chance to learn the importance of giving back. Project Giving Kids is a national non-profit that was started by Boston mom Molly Yuska. She wanted to show her kids how to help others. "PGK is really an organization for no other purpose than to connect kids to causes and to give them a chance to give back to learn why that's important to both them as people and the community as a whole," Yuska said. On Sunday, more than 12 non-profits, including Rosie's Place and the MSPCA, set up for parents and kids. Kids were able to take part in many activities, including making blankets for shelter animals and putting together shower kits for homeless women. NBC10 Boston was a proud sponsor again this year. For more on Project Giving Kids, visit their website www.projectgivingkids.org.